Whether you go on tour to New York City or Quito, Shanghai or San Francisco, your students will have an incredible time experiencing different cultures. 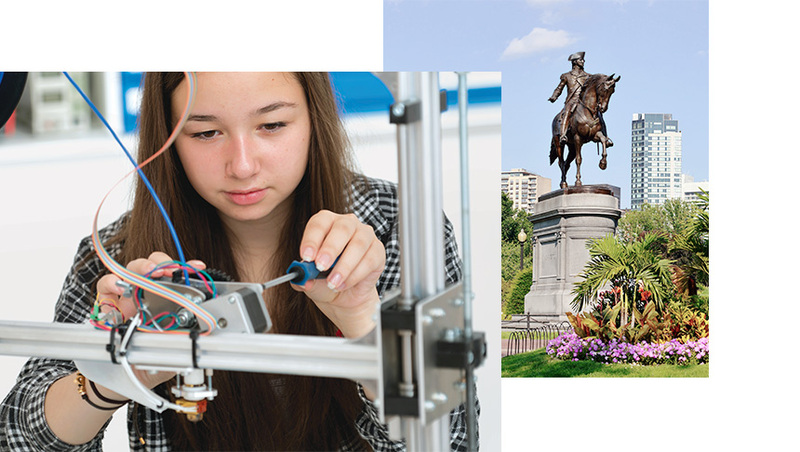 We think you’ll especially enjoy our STEM Discovery: New York City & Boston tour, where you’ll get to tour the Brooklyn Bridge, design a sensor, learn how to write code, and explore one of MIT’s state-of-the-art research laboratories. Whether you go on tour to New York City or Quito, Shanghai or San Francisco, your students will have an incredible time experiencing different cultures. We think you’ll especially enjoy our STEM Discovery: New York City & Boston tour, where you’ll get to tour the Brooklyn Bridge, design a sensor and learn how to write code, and explore one of MIT’s state-of-the-art research laboratories.